Samsung is turning to software to try and quell the simmering scandal over the Galaxy Note7’s exploding batteries. According to an AP report, Samsung will be issuing an update that will cap charging to 60 percent of the battery’s capacity. This is primarily a stopgap measure designed to keep more phones from catching fire until the company can churn out enough replacements. 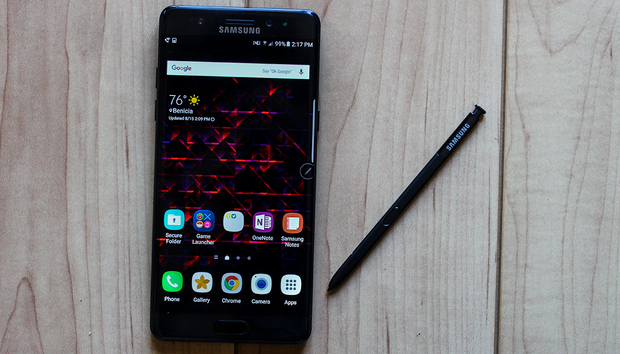 Samsung has pledged to swap out all 2.5 million Note7 units sold. The report didn’t indicate if the software update will be coming to the U.S. or if this would remain in South Korea. It won’t be much consolation to those who have already suffered from Samsung’s blunder, which includes a six-year-old boy playing with his grandmother’s phone, a garage fire, and a Jeep bursting into flames. If you have a Galaxy Note7, Samsung advises you to power down the device and take advantage of its replacement program. You can also contact your carrier—carriers have offers that range between a refund and an exchange for a different phone from the available lineup. The impact on you: This is an item worth keeping an eye on if you’re waiting impatiently for a Note7 replacement. On the upside, this update could allow you to keep using your phone until Samsung is able to crank out enough replacement units to give you a new one. However, a productivity-focused smartphone like the Note7 is going to feel awfully handcuffed with a battery cap of 60 percent.